Google CEO Eric Schmidt has said that “Android adoption is about to explode,” and that all the “necessary conditions” are set for growth. Let me compare for minute the difference between say, the iPhone by Apple, and Android by Google. There’s really not a comparison so to speak, but just so you get an understand of what’s in the works here with Android. Whereas Apple focuses on building a phone (the iPhone), Google focuses on building an operating system (Android) that a lot of phones can run on. It’s a lot like Windows operating system on computers. It doesn’t matter if you buy a Dell, Gateway, Acer, or Toshiba, they are all going to be running a version a Windows – that’s what Android is like to the mobile phone. The power of Google Android is in the fact that it’s “open source”. 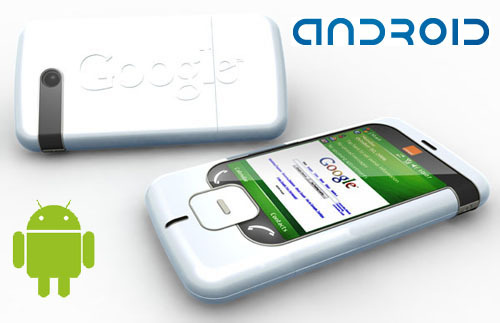 This means that Google can offer Android to mobile phone makers, and their developers, and other independant programmers, can customize and enhance Android for each individual mobile device. Open source basically allows the community of users to make Android more productive and effective for everyone, based on what users want Android to do. Again, we don’t give the detail numbers. On a quarter over quarter basis, mobile searches grew 30% on Google. It tells you something about the mobile space, the smartphones, and how they are transformative. They are basically transforming how people live on a mobile basis. If we move forward the adoption of these mobile phones by lowering the cost because it is open source, think of how many searches [that will produce]. Clearly Google the future in mobile phones as nothing short of revolutionary. And if they can offer a default operating system that all mobile phone devices can use, then just like Windows, Android can basically have prime positioning on every cell phone in the world! Can you hear the “monopoly” sabers rattling yet?